g experience. The Work of Leaders® connects unique leadership styles to real-world demands, generating powerful conversations that provide a clear path for action. The Work of Leaders® is a best practices training that uses online pre-work, engaging facilitation, and online follow-up to create a personalized learning experience. 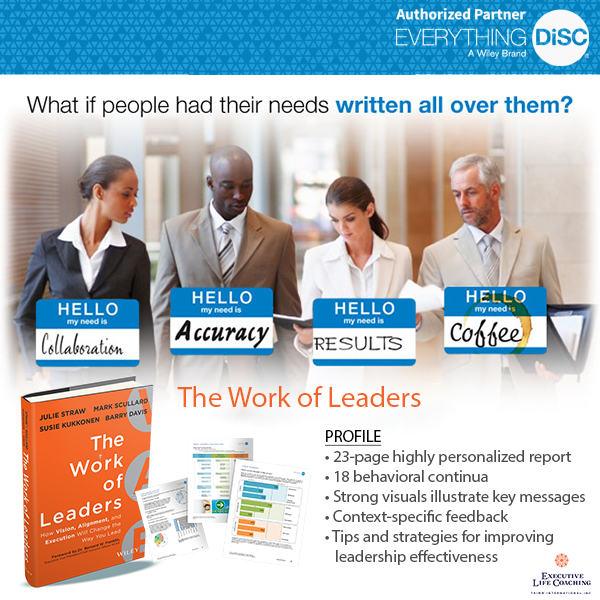 The Work of Leaders® connects unique leadership styles to real-world demands, generating powerful conversations that provide a clear path for action.